November Guide to Franklin: Prepare Your Home and Yourself for the Holidays! Can you believe the Holiday season is already upon us? Thanksgiving will be here soon, and then it will be Christmas eve before we know it! The holidays are a wonderful time of year with cheer, joy and gratitude in abundance. However, we can always expect a little stress as well, since your already crazy schedule becomes even busier with preparations. This year we encourage you to get your holiday planning done early with the help of your local Franklin businesses. First things first, before Thanksgiving Hits you’ll want to make sure your home is ready for all the events and out of town guests who will be stopping by. 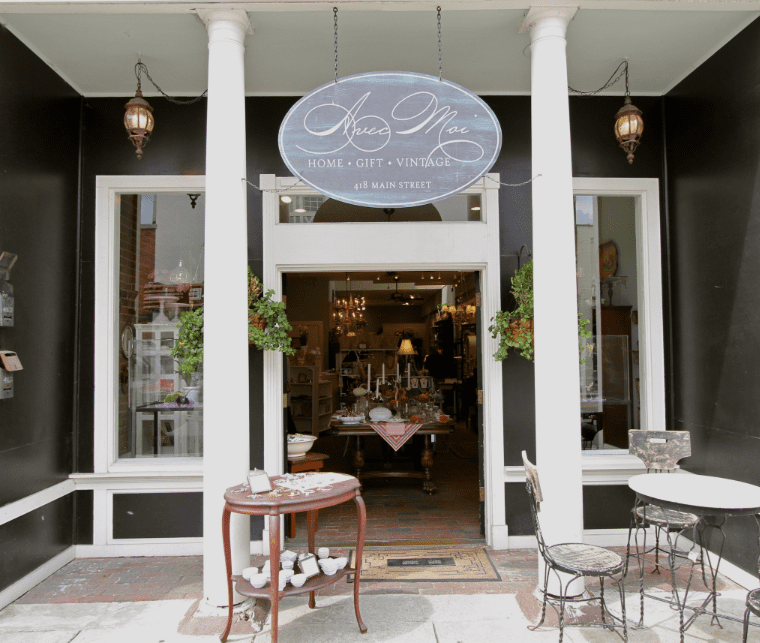 These DFA member boutiques will have just what you are looking for: Avec Moi is the perfect spot for both vintage and new home décor, Kelly Spalding Designs offers stylish chic décor for the home and entertaining and The Heirloom Shop and Tin Cottage both offer the perfect mix of seasonal and traditional décor. Once your home is in tip-top shape, it is time to turn the focus towards you. Picture this: it’s Thanksgiving Day and between the turkey, all the side dishes and dessert, preparations are taking longer than you anticipated. Moments before your guests arrive, you realize you’re not even dressed yet and have no idea what you’re going to wear. This year, avoid the last-minute outfit panic – downtown Franklin has many boutiques ready to dress you this holiday season. Finnelys, Imago Dei, Jondie and The Cellar on Main offer trendy and affordable options, while Citizen, Habit, and Gin-O offer urban, contemporary, and chic options. Let’s not forget about the men – Franklin Road Apparel is the perfect stop. Each boutique is unique and you’ll be sure to find the perfect outfit for this holiday season. Finally, are you leaving the cooking up to someone else this Thanksgiving? Going to friend’s, family member’s or a co-worker’s home instead? There are several downtown Franklin shops that will make sure you show up with the perfect gift for the host. Looking for something sweet or spicy to give to your host? Savory Spice Shop and Early’s Honey Stand are the perfect stops to find just that. Looking for something out of the ordinary instead? 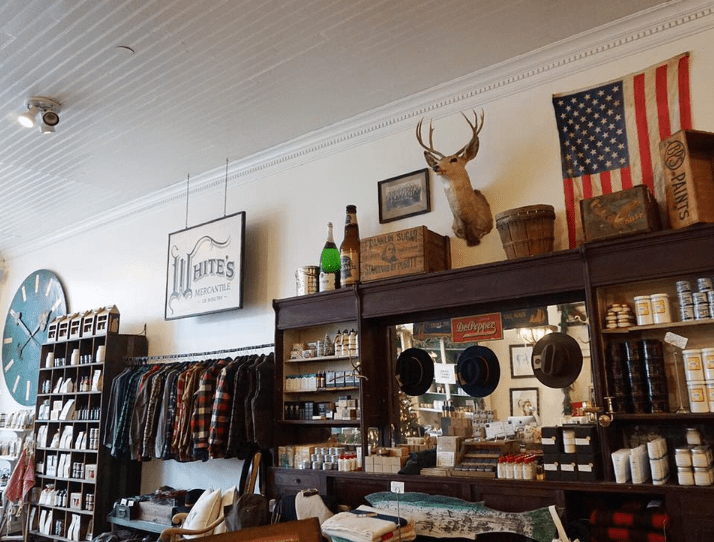 Then White’s Mercantile, Hester & Cook and Heart and Hands are the perfect gift shops for you. All of these DFA member boutiques are sure to have everything you need just in time for Thanksgiving. We hope to see you out and shopping. On behalf of everyone The Downtown Franklin Association we wish everyone a Happy Thanksgiving! To stay up-to-date on all the happenings of Downtown Franklin, sign up for our monthly roundup email, and be sure to connect with us on Facebook and Instagram! Tag all your social posts with #dwtnfranklintn and #americasfavoritemainstreet to show us how you’ve been shopping local this holiday season.